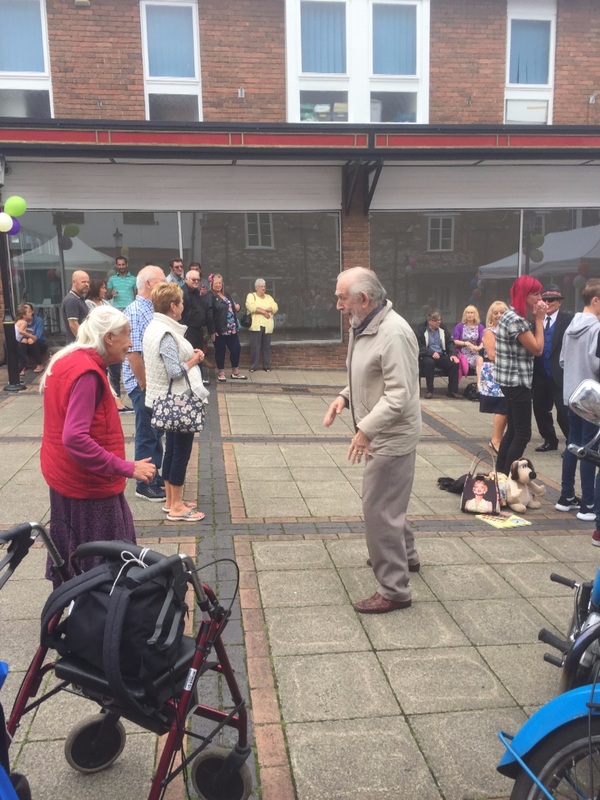 When we first began, we had to raise funds to help people and we did this by carrying out fundraising collections in shopping centres and supermarkets. 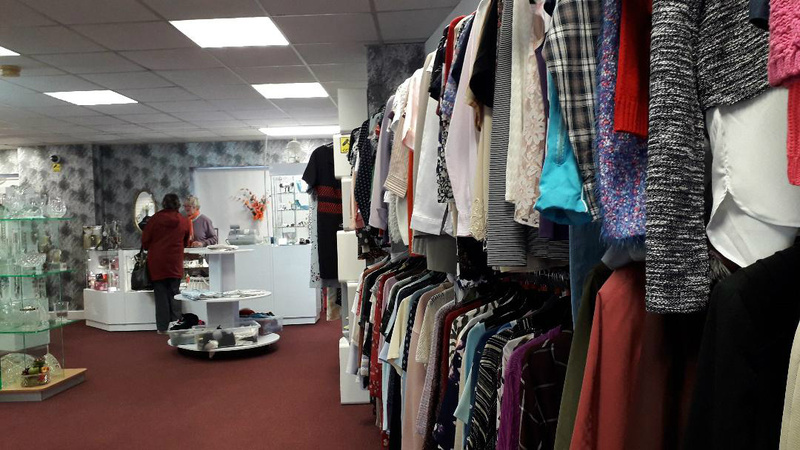 After years of doing this, my colleague and Trustee of the charity Roger Wall suggested opening a charity shop and so the first shop was opened in Thornbury, it was a small shop, but a good way to see how things went. 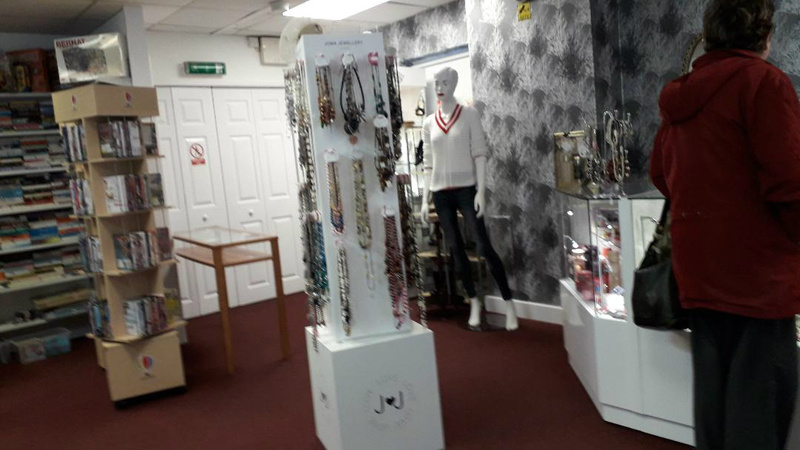 The shop was a success and so when a shop became available in St Mary Street in Thornbury. 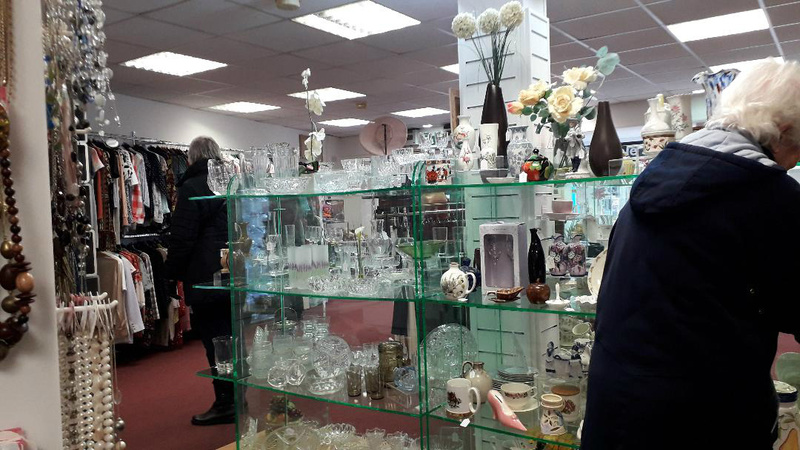 Because the Hard work that Roger, Christine and the volunteers had done, we opened a second shop just one shop up from the existing one and so we opened the shop to sell mainly used furniture, pictures, ornaments, music centres, and other electrical goods. 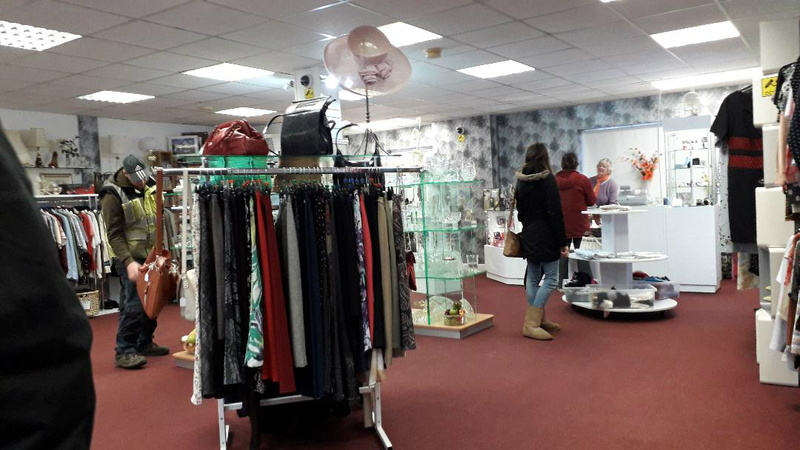 Both shops have run very well, but because it has become difficult to get volunteers we decided to close the lower shop and have now completely revamped, taken down the back wall to extend the top shop and have completed re-decorated and fitted new carpet. We have new display shelves, lighting and shop signage. We recently reopened shop and comments from customer have been excellent. 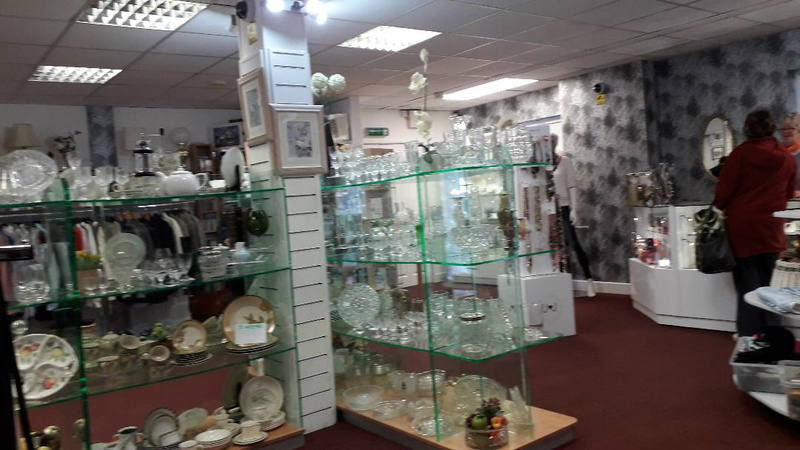 We sell, clothes, electrical goods, ornaments, furniture, wheelchairs, walking frames and useful things for the home. We offer a much used service and build wheelchair ramps, repair fencing, do general gardening, decorating and many other jobs for people you have Multiple Sclerosis (MS). Aswell as the service we offer have also made donations to the leading BrAMS Centre at Southmead Hospital. Doctor Cottrell thanked us for our help and the funds will go help people with the illness. BrAMS offer New existing and new Treatments, Drug trials, Research, a team off leading Specialist Consultant Doctors, MS Specialist Nurses, Physiotherapist and a Psychologist. a big thank you to all donate items to our charity and to those of you who buy at the shops. 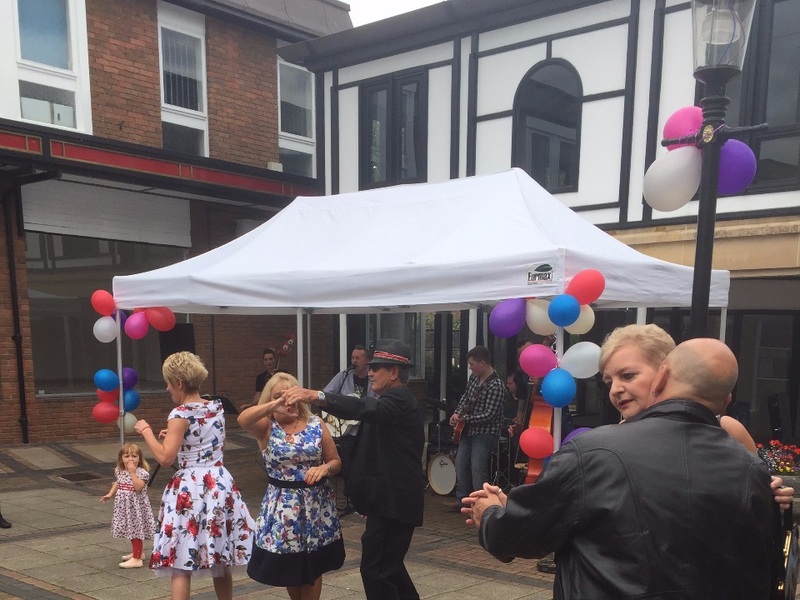 Christine Wall, Shop Manager and Trustee, along with some of our fantastic volunteers, organised another brilliant summer event, a 50's/60's Rock & Roll event, which took place outside our two charity shops. There was a Rock an Roll band and people danced, our volunteers dressed up in the period clothes and they looked great. 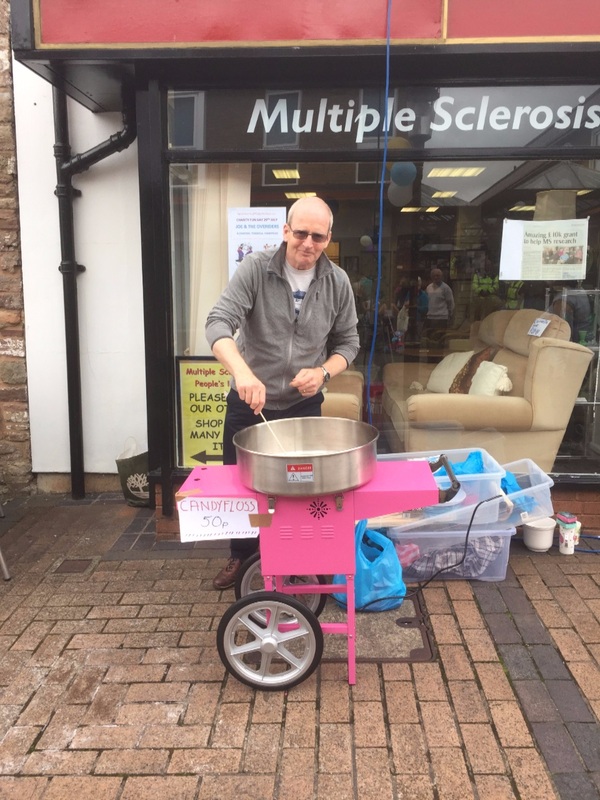 We had a popcorn machine and a kids merry-go-round, as well as a raffle and lucky dip. It was altogether a sucessful event and it raised funds for our charity, which of course helps people with MS by offering to do Gardening, Decoration and other DIY type jobs. We alse make regulare donations to the BrAMS Centre based in the Brain Cente at Southmead Hospital. MS Peoples Help are pleased to say that we have donated Rest Room Furniture and a Coffee Table to Four Town & Vale Link Community Transport. They are a great local registered charity and wish them all the best for the future. We have a van and volunteers who can pick up donations or deliver items that you buy. There is just a very small charge for fuel. Shaun McCarthy (Chairman) and Roger Wall (MS Peoples Help Shops Manager and Treasurer) Started the charity 17 years ago and offer free help to people with MS in Bristol, South Glos and N/Somerset by carrying out general DIY in the garden and home. Now Christine Wall, Trustee and Voluntary shop manager works in the shops and arranges new stock and carries out a great deal of ironing. We offer a much used service and build wheelchair ramps, repair fencing, do general gardening, decorating and many other jobs for people you have Multiple Sclerosis (MS). 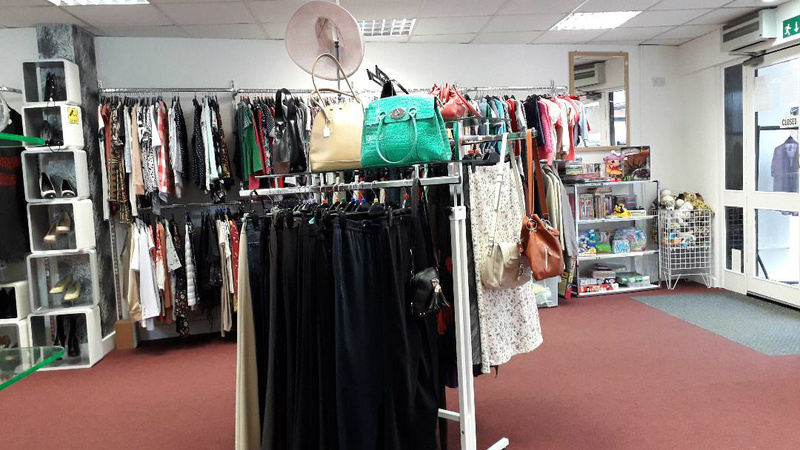 We also make donations to the leading BrAMS Centre at Southmead Hospital and on Saturday16th May met with Doctor Cottrell at our charity shops in Thornbury to donate £5,000 to the BrAMS Centre. Doctor Cottrell thanked us for our help and the funds will go help people with the illness. BrAMS offer New existing and new Treatments, Drug trials, Research, a team off leading Specialist Consultant Doctors, MS Specialist Nurses, Physiotherapist and a Psychologist. a big thank you to all donate items to our charity and to those of you who buy at the shops. 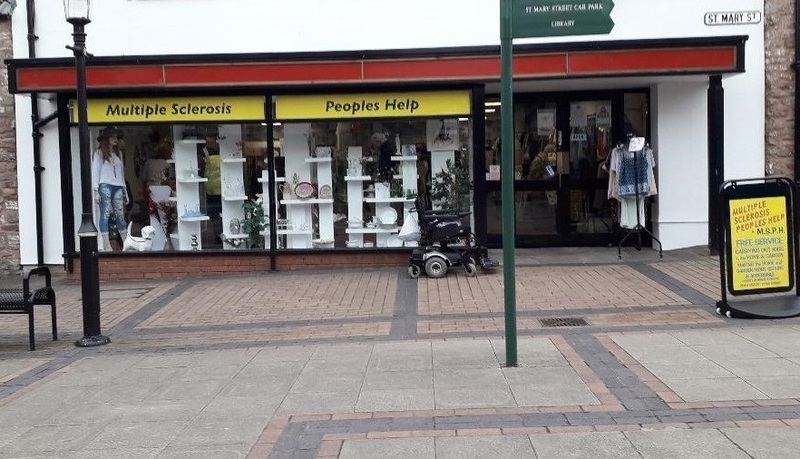 The Furniture shop is going very well, if it's in good condition, please donate your furniture so that we can help people with Multiple Sclerosis (MS) We have a large van and so we can collect your donations, Thank you. The shop helps us to raise funds to help people with MS to get DIY type work done in the home and garden. 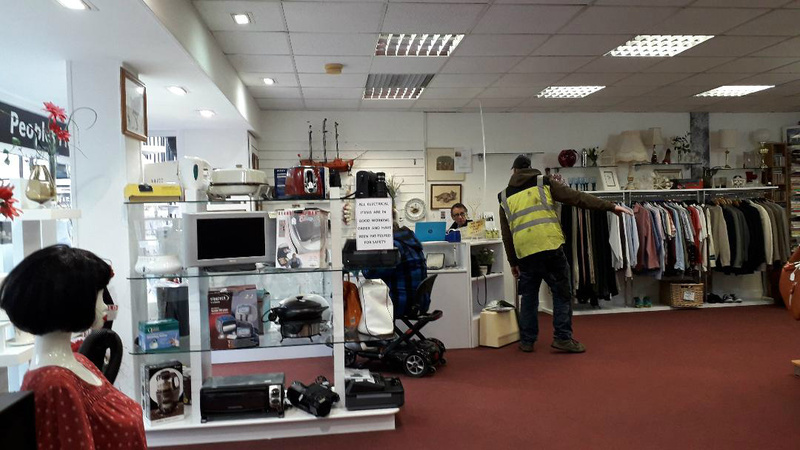 If you have any furniture, clothing, bric-a-brac or anything else that you think we can sell in the shop, please give us call or call in and see us, we can collect. 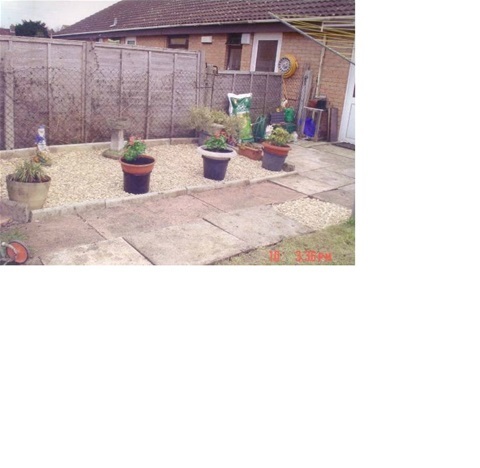 General gardening and creating low maintenance gardens. 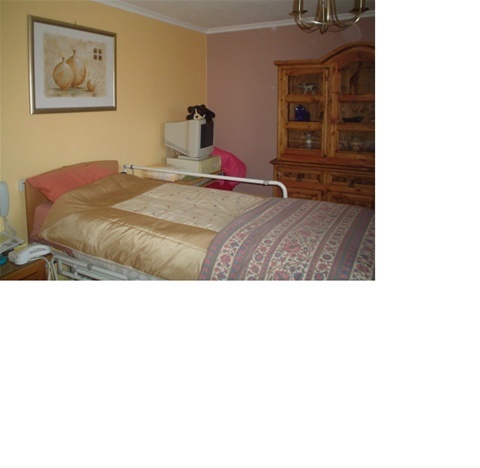 In the home General decorating, usually painting walls, ceiling & woodwork. Putting-up shelves, Fitting an intercom or door lock  Fitting grab rails, Plus other odd jobs, ask, if we can’t do it we will saye accessible, brighter home and garden. We started MSPH 17 years ago after two of us who have MS had learned that a service was needed to help people to get DIY type work done in the home and garden. Can you help in the MSPH Shop? Helping us helps us to raise funds to help people with MS to have a safer, more accessible, brighter home and garden. Over 100,000 people have MS and we do our best to help people in South Gloucester & part of North Bristol when wean. Depending on your circumstances and the work that you need help with, we try to help, although we ask you to please be patient and try to understand that we may not always have a volunteer in your area, but will always try to find one to carryout your work. If you or someone you know has MS and can no longer carryout jobs and maybe can’t afford to pay a company for jobs which need doing around the home and garden, please call us for an application form, we will then arrange for someone to look a the needed job and we will hopefully be able to help. 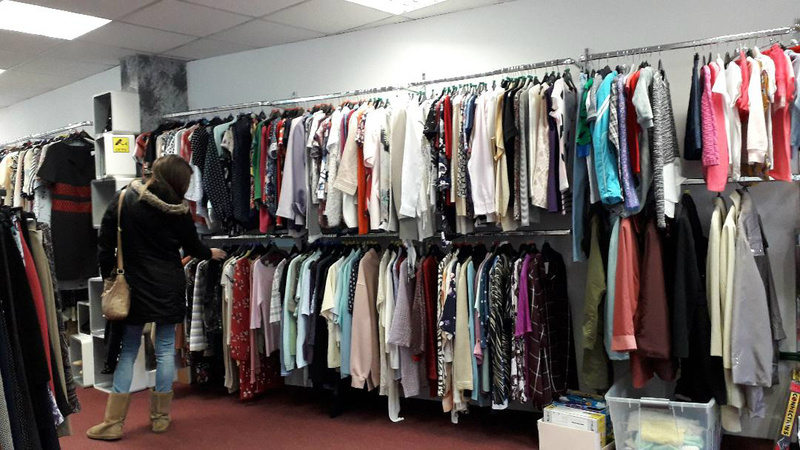 There is no charge for the service that we offer, but ask if possible you pay for or towards materials used and perhaps make a donation, thank you. To donate items to sell in the shop, please bring it to us or call the shop and we can pick it up. We have helped hundreds of people and want to continue to help more. 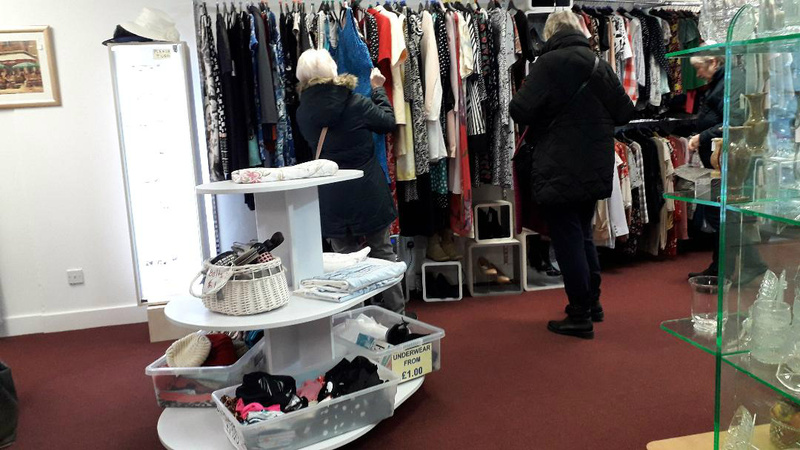 Without our your help with volunteering or donating items to the shop we couldn't help so many people and so please help if you can. 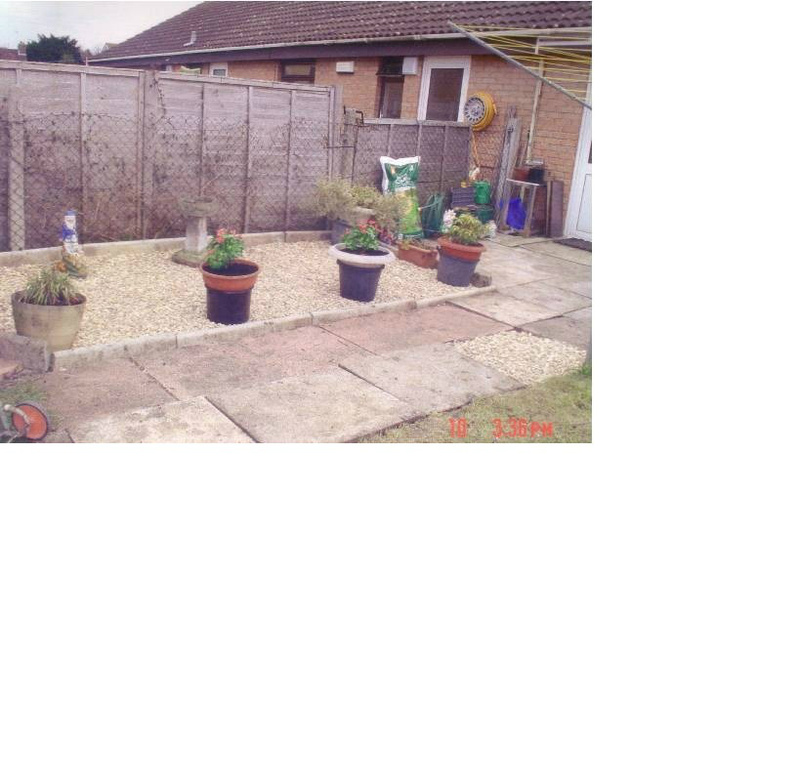 We can cover grass areas with gravel and you might like pots with flowers or shrubs and this will save the regular grass cutting. If we can help with your garden, please call us. We can decorate a bedroom, lounge or kitchen, painting the walls and woodwork a new colour will brighton up the room. What ever DIY job that you would like help with, just call us and and we may be able to help.